Single dried cochineal beetle, used traditionally and currently as a red textile, food and cosmetics dye derived from its crushed, powdered form. Considered a 'natural' dye. 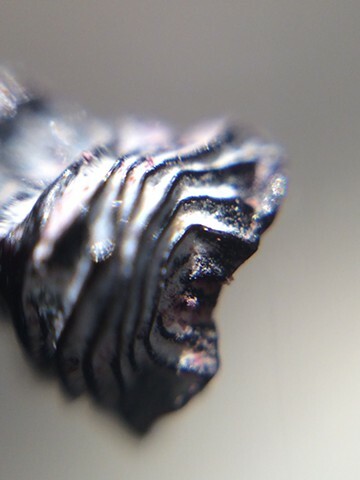 Captured with a DIY 10x microscope apparatus constructed for iPhone.